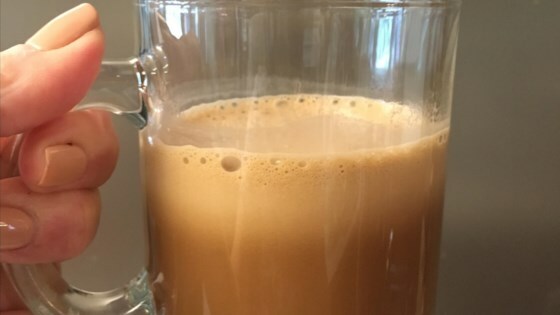 "This low-carb rich and decadent almond butter mocha will keep you fueled all day! It is ideal for keto and Paleo diets." Combine almond milk, almond butter, espresso powder, cocoa powder, vanilla extract, and stevia powder in a blender; mix until well combined and slightly thickened, about 2 minutes. Serve in 2 mugs; dust with cocoa powder. Rach and baking expert Christina Tosi make Baileys hot cocoa two ways! I love all things coffee, so this is no exception. I enjoy trying different coffee flavors, even almond butter. My only complaint is that each serving seems small to me...only about 3/4 cup.